Welcome to the Tallahassee Builders Association (TBA) – a membership driven networking and advocacy group focused on the needs of the building & development industry and related business in Leon, Gadsden, Wakulla, Liberty and Jefferson Counties. As of December 2018, we have over 275 members comprised of builders, developers, local municipalities, consultants and supporting businesses. This gives us a significant voice when addressing issues that impact business and development in the Big Bend Areas. 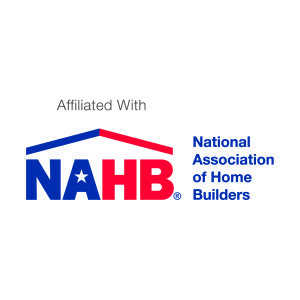 The TBA is affiliated with both the Florida Home Builders Association (FHBA) and the National Association of Home Builders (NAHB). Our mission is to provide leadership and professionalism within the building industry through education, advocacy and community involvement. The programs and services provided to Tallahassee Builders Association members enhance their professionalism and encourage their involvement in community leadership to better the quality of life for all citizens. A major component of TBA’s mission is its advocacy role in working with elected and appointed local government officials in the association’s jurisdiction that includes Gadsden, Jefferson, Leon and Wakulla counties. Our goal is to make housing more affordable… to bring it within the financial reach of more local families and to do that, we need to reduce as much as possible the cost of construction and buildable lots. That’s why we watch regulations to make sure they aren’t adding unnecessarily to the price the end-user pays for housing. The TBA will continue to sponsor two public-viewing events in 2019: the North Florida Home Show on February 8-10 and the 64th Annual Parade of Homes™ scheduled the weekends of May 11-12 and 18-19. We are also proud to support the growth of our Future Builders of America (FBA) Chapters through high schools in Leon, Wakulla and Gadsden Counties. These are opportunities for our builders and associate members to shine and more importantly, to show people about the products, services, remodeling, and new homes that can bring them years of enjoyment. An FBA Chapter enables our members the opportunity to work within our student population and speak with them about the choices they have for a career in construction.